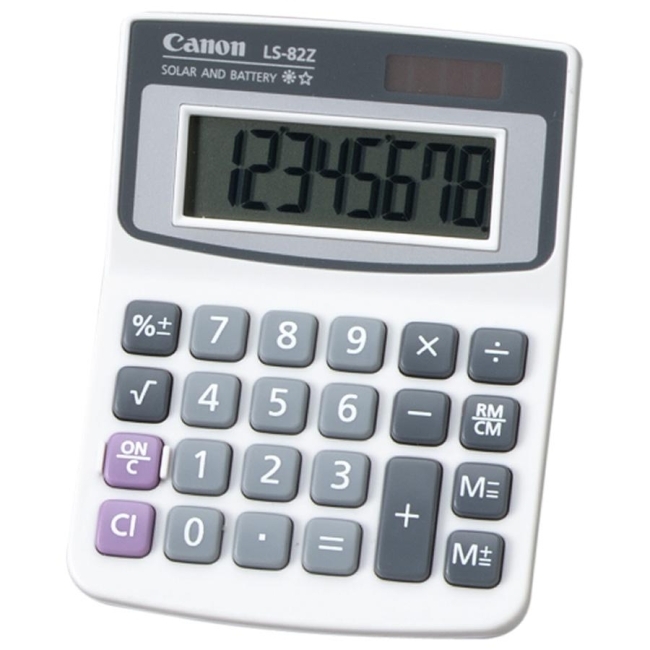 Portable display calculator features an upright LCD to help prevent overhead glare and eyestrain, while the large display makes numbers appear clear and crisp even in the dimmest lighting. Large key tops and key-top characters reduce the chance of miscalculations. 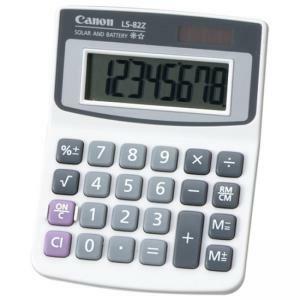 Full range of functions include chain multiplication and division, single live memory, extraction of square root, exponential calculations, reciprocal calculations, percentage add-on/discount, and overflow and error sign. Calculator is solar and battery-powered. Powerful solar cells provide all the energy you need under normal room lighting. The battery instantly takes over when the light source dims.